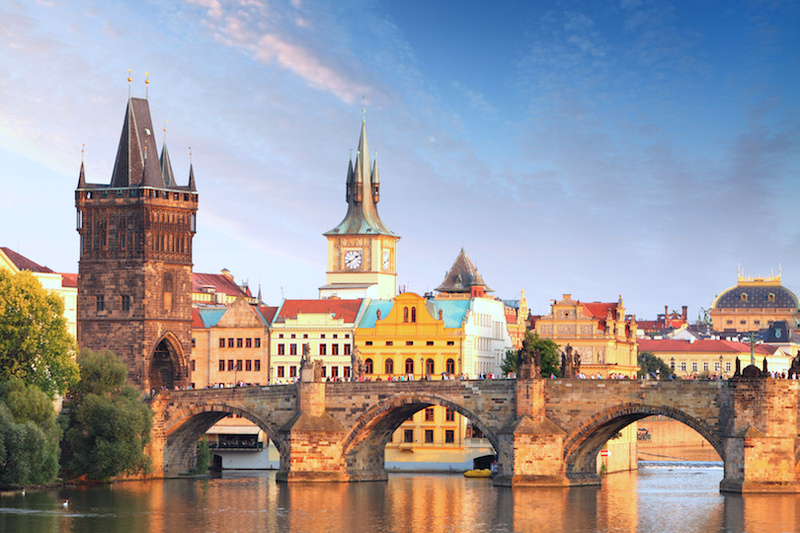 Connecting Old Town and Lesser Town over the River Vltava is the 600 year-old Charles Bridge, Prague’s most iconic landmark. King Charles IV commissioned the bridge in 1357, replacing the Judith Bridge which was destroyed by a flood in 1342. Thirty Baroque statues line the sides of the pedestrian bridge along with myriad vendor’s stalls, musicians, and performance artists. Located between Wenceslas Square and the Charles Bridge, Prague’s Old Town Square is often bursting with tourists and locals in the summer. 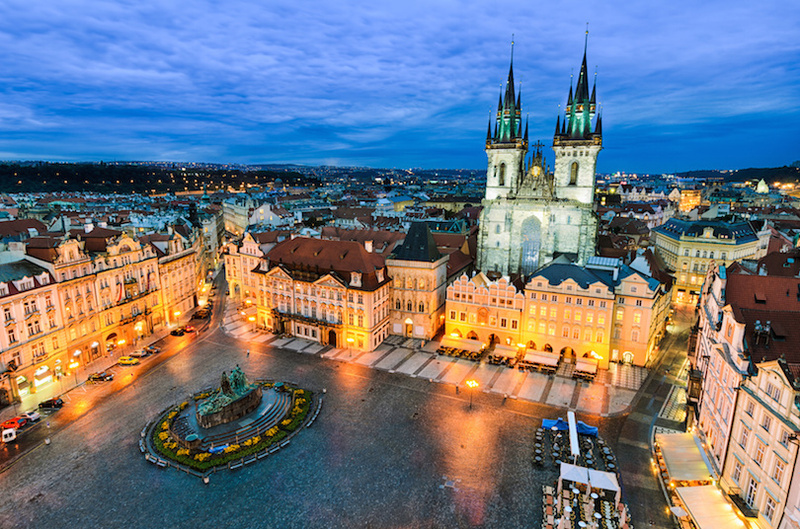 Czech’s long history is exemplified in the medley of architectural styles: Romanesque, Baroque, Rococo, Gothic and Renaissance are all represented in the superb buildings around the square. Soaring Gothic towers that rise from Tyn Cathedral contrasts with the Baroque style of St. Nicholas while Old Town Hall consists of a collection of Gothic and Renaissance buildings. Towering above the city is Prague Castle which consists of a royal palace, a cathedral and three churches, a basilica, a monastery, defensive towers, royal stables, a tiny lane where craftsmen worked and magnificent gardens. Prague Castle began as a wooden fortress with earthen bulwarks in the 9th century; by the 11th century, it included a royal palace and the 14th century saw the beginning of St. Vitus Cathedral. The cathedral in the castle complex is a jewel in Prague’s crown, a superb example of Gothic architecture. Kings and emperors are buried here. 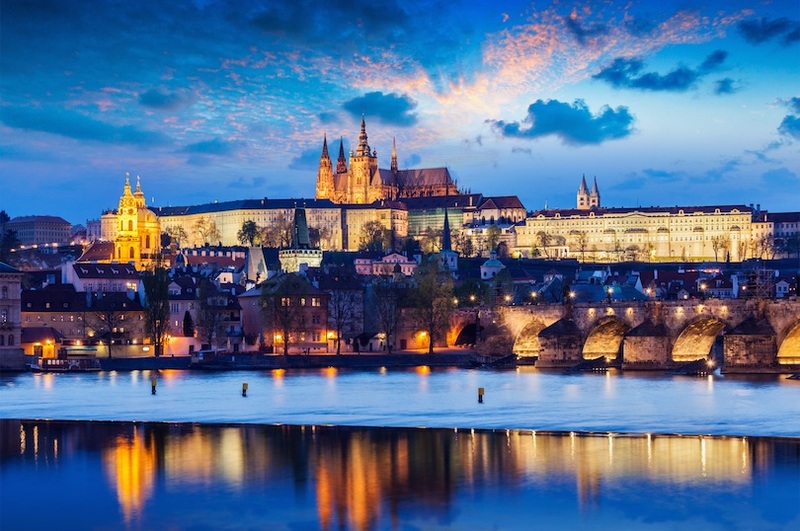 And there are so many places for you- the travelling lovers to visit such Tyn Church, Mala Strana…etc, let’s come and feel the Prague, the Jewell of Czech and also one of the most beautiful cities in Europe. Top 100 Best Actors - P6.Ryan Reynolds.